If you don’t have the luxury of having your own coach who keeps track of when you should be pushing harder or backing off of training volume and intensity, you’d better have, at the least, a basic understanding of stress. There are several types of stress, but they all have a very similar effect in the body. Your body prefers homeostasis, which is defined as the tendency of a system, especially the physiological system of higher animals, to maintain internal stability, owing to the coordinated response of its parts to any situation or stimulus that would tend to disturb its normal condition or function. To keep this blog simple, I won’t dig entirely into all of the mechanisms by which stress operates. However, I will say small amounts of stress planned in a methodical way can do the body good. Take, for example, your immune system gets stronger by being attacked by a foreign antigen and building up it’s own forces to defend your body from becoming infected or diseased. Also, when you exercise you create small tears in your muscle, caused by mechanical stress to the tissue, thus your body rebuilds the muscle to withstand the previous stress you applied to it. If a little stress is good, won’t more be better? The old adage, “no pain, no gain”, is not applicable here. Think of your body as having a bucket or cup which represents the amount of stress you can pour into it before it spills over and you get a whole basket of undesirable physiological responses splashed in your face. That is grossly oversimplifying this topic, but we’re going to roll with it because I know you don’t want to pick through 4–5 articles of technical mumbo-jumbo to get to the bottom of why you feel like crap at the gym. 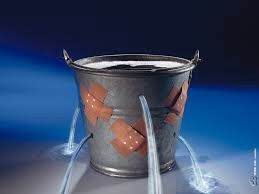 Your stress bucket while overthinking your training. Here is something to think about. 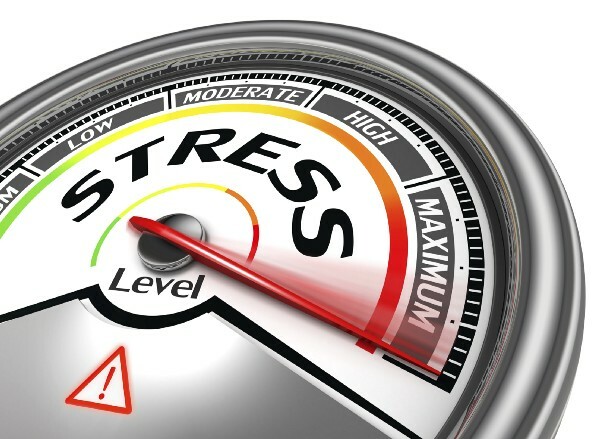 Work stress, home stress, relationship stress, and physical stress from the gym = a stress input. Those are all dumped into the same bucket and your autonomic nervous system will react to the stresses by increasing the parasympathetic response. A.K.A. your hormones get out of whack, you don’t sleep well, you lose (or gain) appetite, your performance tanks, etc. Along this line of thought, it should be pretty clear why your motivation or mental intensity in the gym is garbage. You can also conclude when to deload or taper your training volume or load based off of your biological feedback. Obviously, as I pointed out before, it’s not nearly as simple as saying, “I’m just not feeling 100% today. Looks like I don’t need to work out”. If I didn’t work out when I didn’t feel at my best, I would be far less fit and healthy right now. The art is in balancing the line between not enough stress to cause growth and so much stress it causes injury or setback. How Do We Fix This Dilemma? I’ll give you 5 easy, actionable tips to ensure you keep crushing it in the gym and continue on the warpath to dominant fitness. Sleep — Get between 7–9 hours of sleep a night to better allow your body to recover from training and other life stress. This is the foremost important thing you can do to relieve it. No compromise here. You either sleep more, or you’ll forever be burdened with lack of gains. Eat — Eat enough calories to support your body as you chase your goals. If you aren’t fueling your body properly, then you’re leaving a TON of progress on the table. Not to mention you won’t recover very well from all the stress you continually deliver to yourself. This, in my opinion is a close second to sleep. If you don’t eat what your body specifically needs to perform and recover from stress, you will suffer the unfathomable demise of stalled progress. Train — But wait, training is a stress. Why do I need to add more stress to relieve it? Because, there are SO MANY benefits to working out that it far outweighs the potential for over training. Besides, if you have a properly structured program you won’t over train, because it will have taper weeks and light sessions sprinkled in at the proper time to allow for maximal progress and feeling like a champ. Breathe — Duh, we kinda already do that, like all day. Not just any breathing. I’m talking about pattern breathing. A good example of this would be box breathing: the breath pattern follows 3,3,3,3 or 3 seconds on the exhalation, 3 second hold out, 3 second inhale, 3 second hold in. When that becomes seamless you can increase the time on each stage of the breath cycle. There are other tempos you can follow, but this is a good one to start with. Laugh — Ever so often it’s nice to get out of the grind and just unwind. Go out with friends and share laughs at dinner or bowling.